The H4-Plus Bluetooth speaker is equipped with dual 10W drivers (20W) and bass radiator,delivers surprisingly loud acoustic and premium crystal clear sound with balanced bass in such portable bluetooth speaker.Perfect for home,party,gift. With a 3600mAh of rechargeable lithium-ion battery,your wireless speaker can last for 10 hours of audio play from a single full charge.Built in microphone with Noise Reduction for answering phone calls.You will never miss a call at home,kitchen,bathroom,car.Connect 2 H4-Plus Bluetooth speakers via a single device for stereo sound or double the volume. 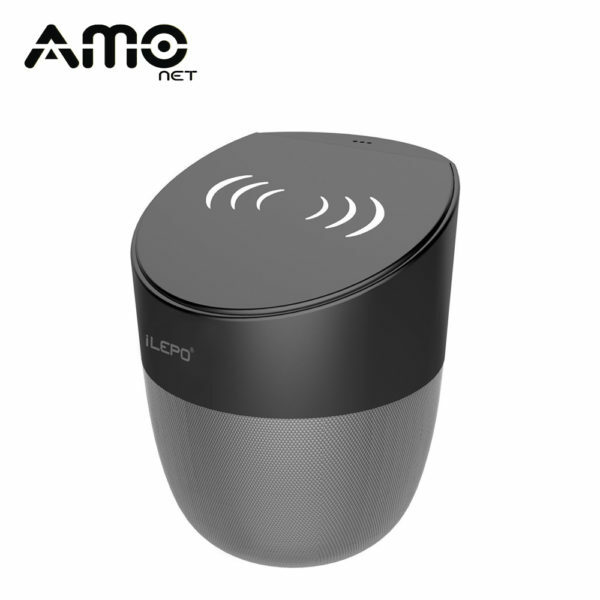 Instantly connect to your phone from up to 10 meters away in line of sight.The portable speaker can be connected to your device by auxiliary cable for non-Bluetooth devices,and also features a Micro SD slot. 1. Short press the mode switch button, you can switch among Bluetooth / Mirco SD / Aux in mode. 2. If the device is crashed, please long press the POWER ON button at least 10 seconds to reset. 3. Answer / Reject call button, short press for answering, long press reject. 4. Support Mirco SD max 32GB. 5. Mirco SD Card support format: MP3, WMA, WAV, FLAC, APE.